You either love them or hate them. I personally love them, and recently learned some new details. Ugg is actually a style of boot and not a brand. The definition of "Ugg Boot" is, " A boot made of sheepskin with the wool as the lining and leather as the outside." I am an "UGG Australia" girl 100% and own at least five pairs. However "UGG Australia" is just a brand, and not the only "true" Ugg boot on the market. I recently learned about Whooga Ugg Boots. Whooga uses materials like premium grade merino sheepskin, and ThermoFleece. ThermoFleece circulates more air than traditional ugg boots this means that your feet will be kept cool in the summer, and warm in the winter. On the back of the Whooga Boot the Whooga label. I think Whooga sounds more like an Ugg Boot name... wouldn't you agree? You still have to be careful of "fake" Ugg Boots...they'll completely ruin your feet. So make sure that when you are purchasing a pair of Ugg Boots you make sure that they are real Ugg Boots and not imposter's. Whooga Ugg Boots are are great alternative to Ugg Australia if you would like an Ugg Boot alternative. I personally wanted one after the whole Jimmy Choo Ugg Australia bedazzler collaboration...tragic! 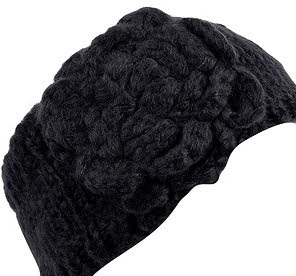 A knit headband is definitely a chic accessory for cool temps. Not only will it keep your ears warm, and you from getting an ear infection. It's also a fabulous alternative to the everyday headbands. Knit headbands are a statement of their own. Lip scrub is key for making your lips soft and kissable this winter. Lip scrubs exfoliate your pout making sure that your lipsticks or lip glosses stay looking fabulous for longer. 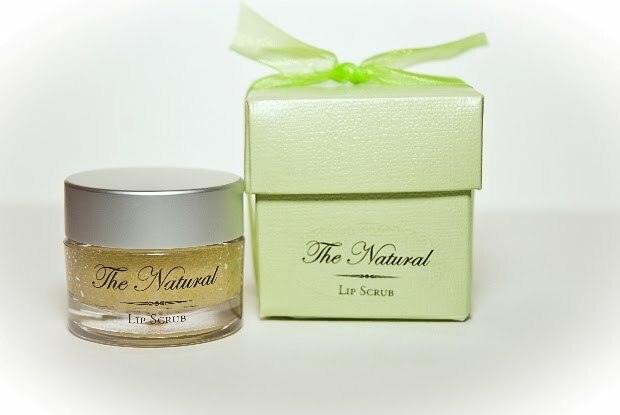 The scrub hydrates your lips and makes them extremely soft. The Natural Lip Scrub is my absolute favorite. Not only does it come in delish flavors, but my lips have never felt so soft. So why is it a must? It's completely versatile. You can wear it like the above picture with leggings or however you like. It's completely chic for those brisk days. Hot Apple Cider I am not sure about in other states, but in Michigan hot apple cider is a cold day essential. No it's not the Starbucks apple cider. 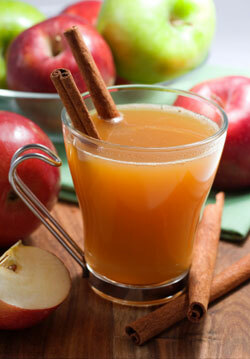 It's apple cider that you get straight from the cidermill made with freshly pressed apples. Heat it up in the microwave through in a cinnamon stick and it's pure bliss. What are some of your cold weather essentials? i can't live without my uggs in the winter! Ill take a sweater dress...and candycane cocoa!! I love Ugg boots and the sweater dress! LOVE my uggs! And sweater dresses! I only have 1, but it's fun to still be able to wear a dress in the winter! hot chocolate is def must for me on cold days!! I am TOTALLY in LOVE with your blog. Food and fashion! Yay! Thanks for dropping by my blog. I may have to buy my first pair of uggs this year and that sweater dress is too adorable! Cider mill donuts! My favorites are from Yates - the plain ones, not cinnamon. Those ones make too big of a mess. For me: the only time I order from Starbucks - the pumpkin spice latte, soft, oversized cowl neck sweaters (sweater dresses), tall boots and tights. Personally, I am not a fan of ugg boots! However, I love all the other things, especially the sweater dress! I love your blog more and more each day! that is so interesting about Ugg boots! thanks for sharing!! I LOVE a lip scrub, I agree you NEED this for the winter - It also helps if you have been putting on lipstick all day and need a fresh start. I can't live without my Uggs in the winter. I aodre them. And I absolutely NEED warm mitts. And coffee....lots of coffee! I wouldn't be see dead in Ugg boots out in the open nor inside. I absolutely hate them and think they should all be burnt! hahaha. oh I love apple cider! I had no idea - I thought UGG was the brand name! And it is a love/hate thing - I asked my daughter if she wanted a pair and she is in the "hate" category. Must haves for cold weather - soup - any kind and I am happy. I am posting it tomorrow, but today I made a cream of tomato soup with blue cheese - delicious! I had no idea that Ugg is actually a style and not a brand. Very interesting to know. I am definitely looking into Whooga! As someone who has owned 20+ ugg boots I always thought that was a brand name. I had no idea it was a style. Don't worry Air I will be posting this at my office. Lets get Whooga some shoppers. That name is so cute!!! Too bad we're out of college we held so much power! I LOVE LOVE LOVE UGGS seriously life without Uggs wouldnt be a great life. My sister HATES them beyond hate. I own pink and brown ones and they are amazingly comfortable. I didnt know it was a style. I thought it was a brand. Its good to know that its a style, because I am OVER Ugg Australia because of the Ugg Choos ARGH gross. Well I figured since I spent the day nail polish and Ugg texting you that I best actually leave a comment. haha. Do you have a pair of Whooga boots? You know that a certain some of us just style stalk you. You know if people see you in Whooga's they'll be the hottest trend LOL. Seriously though! You would post knit headbands. Those are pretty toned down though for your style. READERS! That Lip Scrub ='s heaven! Trust me I have tried it and I LOVE IT! I love your blog more and more every time I visit it. This has been so informative about Uggs! I learned so much and will be sure to spread the word. I just wanted to tell you in a couple weeks I will be the proud owner of Whooga Boots. Thank you Erica! I appreciate this information. It really helped me in my purchase. I cannot live without a good lip scrub either. You wrote about them before, and I had to buy one right away. Also I never would have guessed that you would have been an Uggs girl. I really appreciate and respect your blog a lot. Your opinion matters a lot to me, and I was shocked that you were an Ugg girl, and even more shocked that Ugg is a style and not a brand. I have always hated Uggs, but I am going to check them out now. I don't own a pair of Uggs, but I would love to get some soon! I just need to find the perfect skinny jean to pair them with.